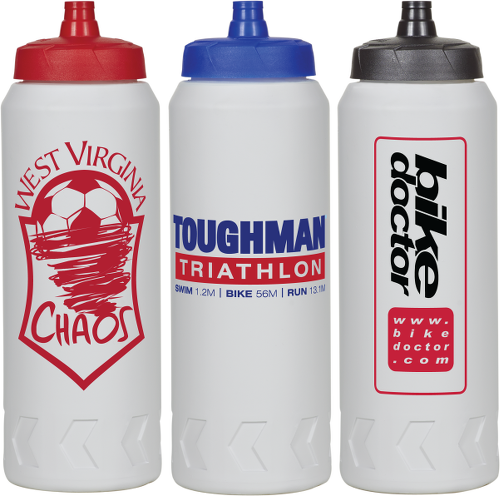 One of our top selling custom water bottles with a capacity of 32 ounces. Our Custom Water Bottles – Pro 32 Oz are BPA free and biodegradable. The bottle is top-rack dishwasher safe, spill proof and made in the U.S.A. Standard production time is 8 days, but a 24 hour super rush is available. Promotional water bottles are perfect for dentists, orthodontists, sports league, teams or any organization that wants a refreshing way to promote their brand.